WT 5 Water Timer 26452190 https://www.kaercher.com/ie/home-garden/watering-systems/automatic-watering/wt-5-water-timer-26452190.html The Kärcher WT 5 Water Timer enables you to precisely program your garden's watering every day of the week. Making this device especially useful if you are on a water meter. 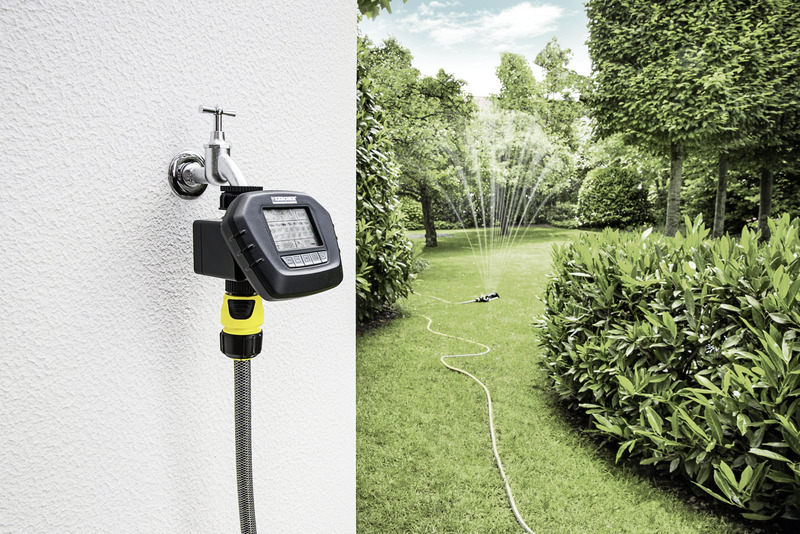 The Kärcher WT 5 Water Timer enables you to precisely program your garden's watering every day of the week. Making this device especially useful if you are on a water meter. 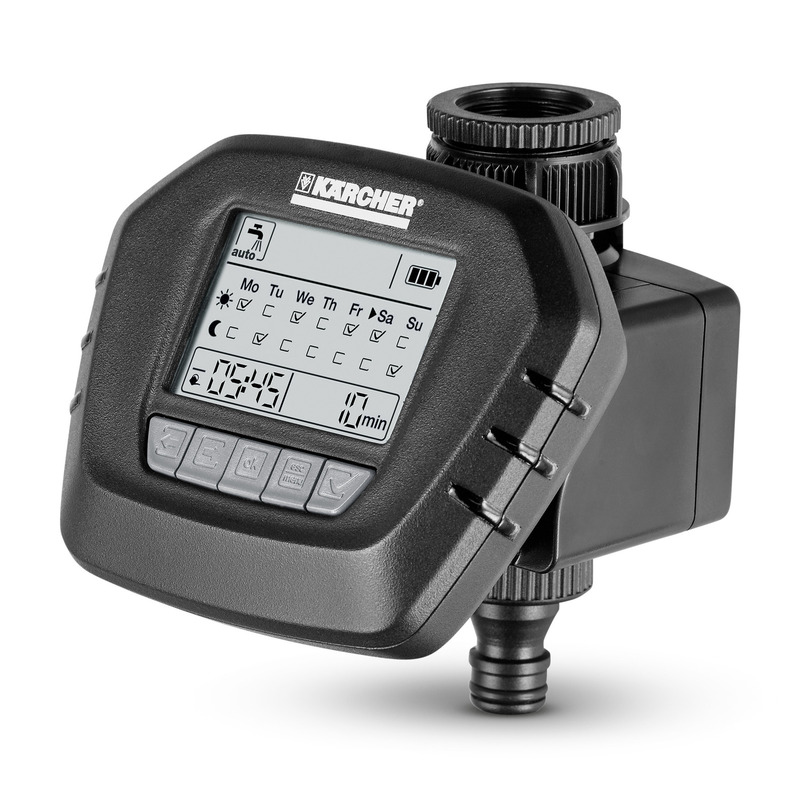 The Kärcher WT 5 water timer has four selectable modes: automatic watering, manual watering, countdown watering, and 24-hour break. In automatic watering mode the WT 5 waters exactly as you wish at the programmed times with the previously set watering duration. The watering program can be activated for each day of the week and can run up to two cycles per day (morning and/or evening). The maximum watering duration is 120 minutes. Manual watering mode can be activated at any time. In countdown mode, the WT 5 waters for a defined period and stops watering automatically at the end of that period. The 24-hour break lets users interrupt the automatic watering program for up to 24 hours and can be cancelled at any time before the end of the 24-hour period. Tap adaptor and pre-filter included with the product. However, a 9-volt battery required (not included). Compatible with most connection systems. 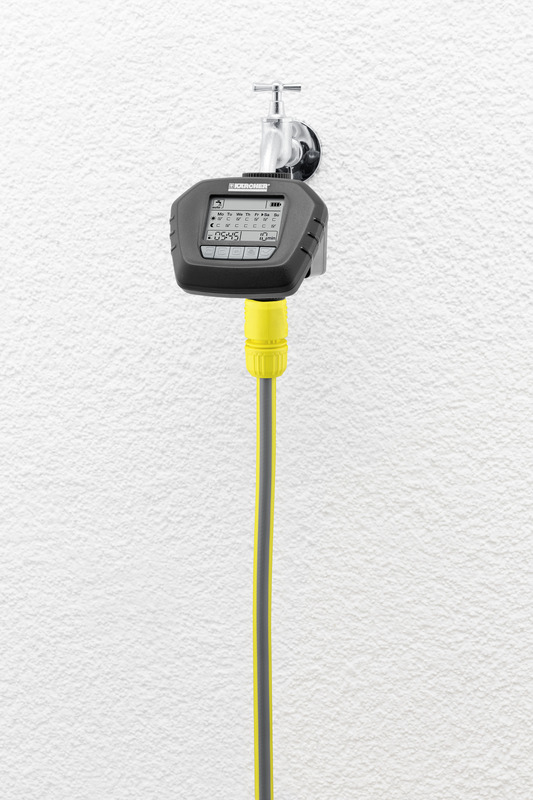 Precise watering – ideal for regions with watering restrictions. Easy and convenient programming with good overall view of the complete watering programme. The control over functionality and programming is maintained after the battery is replaced. One-time flexible watering with automatic switch-off. 24-hour watering interruption (e.g. for uninterrupted garden parties). Worry-free use of the water timer when absent. Simple installation on the tap. Watering up to 120 min. WT 5 Water Timer is rated 5.0 out of 5 by 2. Rated 5 out of 5 by FINCHIE from IT DOES WHAT IT SAYS.EASY TO USE & HAS NOT LET ME DOWN YET.